The Government of Barbados accords high priority to developing an equitable, efficient and accessible health care system within the context of its overall national development. The Ministry of Heath has continued to prioritize its goals, and design policies which ensures that the population achieves optimum physical, mental and social wellbeing, giving credence to the fact that health care is a right for all citizens of Barbados Guided by the principles of universality, health care is free at the point of delivery and funded through general taxation with expenditure for health approximately 4% of GDP. Infant and child mortality rates have decreased and an Expanded Program on Immunisation continues to reduce the incidence of vaccinepreventable diseases. This country’s decline in the AIDS case fatality rate has been attributable to our Anti-retroviral therapy program, as well as the prevention of mother-to-child transmission. 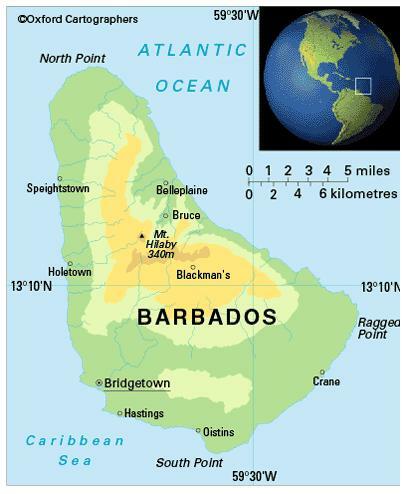 Barbados however, like the developed world, has been challenged by an aging population, innovations in healthcare provision and the growing expectations of patients, as well as a national health profile which continues to mirror the scenario characterised by a reduction in communicable diseases (CDs), with the exception of HIV/AIDS and an increase in chronic noncommunicable diseases (NCDs). In addressing these challenges, we have established an innovative approach to the delivery of health services in Barbados that has unleashed the potential for greater investments in the health sector, thereby ensuring that there is more money for health and more health for money. The management and prevention of NCDs has been one of our national priorities for some time, supported by estimations that 1 in 10 adults in Barbados are afflicted with at least one of these conditions. Successes have been hard-fought, spearheaded by our inter-sectorial National Chronic Disease Commission, as well as the Health Ministry. We are developing mechanisms for the provision of ‘quantifiable data on the economic and financial impact of NCDs’ and are currently conducting a Health of the Nation study to generate new prevalence data. We are especially proud of the establishment of the Barbados National Registry -the first of its kind in the Caribbean -to address issues related to epidemiological data collection, specifically for cancer, heart disease and stroke events. Recently enacted legislation addresses the prevalence of smoking and includes increased taxes on cigarette, a ban on duty free sale of cigarettes, a prohibition on the sale of tobacco to minors, and a ban on smoking in public places. Our increased life expectancy has implications for elderly persons battling the debilitating effects of NCDs. Initiatives to address the needs of our elderly population are articulated in a draft National Policy on Ageing and, in conjunction with the services provided by my Health Ministry, embraces the concept of ‘active ageing’. Our National Mental Health Commission has posited that the de-institutionalisation of mental health services is one of the major planks of our mental health reform process. The development and strengthening of community-based mental health services has been identified as critical to any deinstitutionalisation endeavours and it is felt that this has the potential to decrease significantly the levels of discrimination and stigma, which negatively impacts early diagnosis and treatment of mental illness in our society. Barbados is the only country in the Western Hemisphere chosen to participate in a joint WHO/UNDP Global Environmental Facility (GEF) Project on Piloting Climate Change Adaptation to Protect Human Health. We remain committed to the full implementation of the International Health Regulations and continue to make progress in areas including water quality, vector control, food safety, research, quarantine facilities, waste management and surveillance. Recognising the need to strengthen key systemic sectors supporting health, we have begun the process of developing a Human Resource Strategy for the management and mobilisation of human capital, as well as an integrated health information system. Our current system envisions some changes which will include the provision of services in a more cost effective way; the development of a more integrated approach to delivering services; fulfilling unmet needs in vulnerable groups and improving access. Meeting these challenges will require modifications in policies, structures, funding and incentives. Barbados welcomes the opportunity to partner with our Commonwealth family in this regard and to strengthen our partnership through sector dialogue, as we move forward. Barbados, the most easterly of the Caribbean islands, lies south of Saint Lucia, east of St Vincent and the Grenadines, and north of Trinidad and Tobago. Mild subtropical. In the December-June dry season cooling north-east trade winds blow steadily; the wet season is humid and hotter, but the climate is generally pleasant even then, thanks to sea breezes. The island is on the southern edge of the West Indian hurricane zone. 283,000 (2012); 45 per cent of people live in urban areas. The population growth rate stood at 0.4 per cent p.a. between the years of 1990 and 2011. In 2012 the birth rate was 13 per 1,000 people (22 in 1970) and life expectancy was 75 years (69 in 1970). The population is 93 per cent of African descent, three per cent of European descent and the rest of Asian or mixed descent (2000 census). Barbados is classified a high-income economy by the World Bank.